Teeth whitening is exactly what the name implies: the process of making your teeth whiter. The term ‘teeth whitening’ is often used interchangeably with ‘teeth bleaching’. 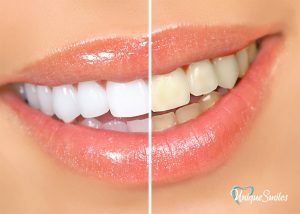 Technically, teeth whitening is the process of restoring teeth to their natural colour, whereas bleaching is the process of making teeth even whiter than their natural colour. Why would you need teeth whitening? As we age, our teeth naturally become yellow. This is due to the wearing down of enamel, which is the outer layer of our teeth. When the enamel wears down, the yellow dentine underneath is more visible, hence the yellowing of our teeth as we get older. Certain foods and drinks can also discolour your teeth. These include coffee, wine and tea. Smoking also discolours teeth. Teeth whitening is a cosmetic procedure. This means it won’t improve the health of your teeth, but it will make them more attractive. Some people want white teeth to emulate their favourite celebrities, while other people are planning for a special event like a wedding. Any reason is fine; if you want whiter teeth, then go for it. No-one needs to suffer from yellow or stained teeth when there are safe and effective treatments available. 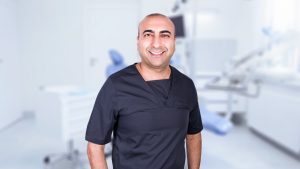 Who should carry out teeth whitening procedures? Teeth whitening should only be carried out by a registered dental professional. Only qualified dental health practitioners can offer teeth whitening treatments in the EU. Some beauty salons offer teeth whitening services at lower prices, but this practice is illegal in the UK as well as the rest of the European Union. This is for the safety of the public, since these ‘cowboy’ operators often use levels of bleach that are dangerous. Another option is DIY whitening kits, but we don’t recommend these. Often the ingredients are unsafe and they do more harm to your teeth than good. 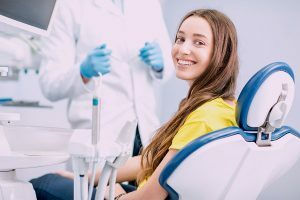 The best place to receive teeth whitening treatment is always at a dentist, such as Unique Smiles. Our team is well-trained and experienced with teeth whitening. You’ll be in good hands and our team will ensure you’re comfortable, safe and well-informed. 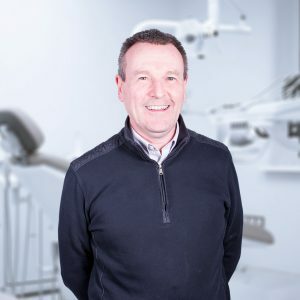 What services does Unique Smiles offer? 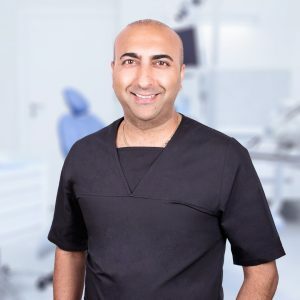 Dr Bhavesh Nathwani is a cosmetic dentist in Alcester who can help you achieve the smile you’ve always wanted. We offer two different whitening services: Enlighten teeth whitening and standard whitening. Both our methods feature a take home kit. The kit includes bespoke moulds that you wear overnight. The moulds are filled with whitening gel, which is the substance that actually whitens your teeth. Enlighten is a new form of teeth whitening that uses less bleach but has better results. Sounds too good to be true? The process involves making your teeth more permeable to oxygen, which helps to break down stains. With Enlighten, you’ll also return to the dentist for a short session, where the dentist will apply a stronger application of gel. 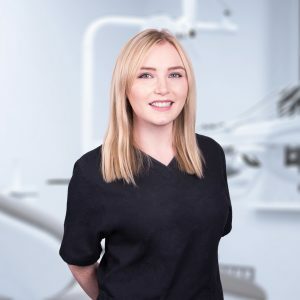 Here at Unique Smiles, we offer teeth whitening for £595 for Enlighten teeth whitening and £295 for our standard option.